All these campaigners need, they say, is Lombardy – an autonomous Lombardy. They are travelling to every corner of the wealthy northern Italian region in a camper van to spread the message: let’s keep more of the taxes we give the state for ourselves. “With this referendum, we want to set an example so that all other regions in Italy can ask to manage their own public finances in the future,” said yes campaigner Giovanni Malanchini. For autonomy supporters, who needs Rome when they already have Milan? Italy’s financial capital boasts towering new skyscrapers, award-winning architecture, and a curious sense of humour. 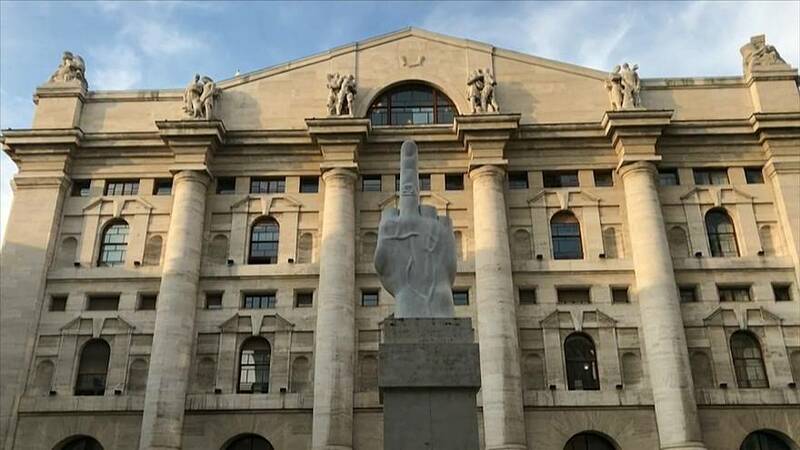 A marble sculpture of a cut-off hand with the middle finger stuck up, right in front of the stock exchange, is supposed to be a warning against financial speculation, but these days it feels more like a message by Milan’s autonomy supporters to the central government in Rome. They claim the capital is milking their regions’ coffers and paying for its “Dolce Vita” with their taxes. The position by “yes” campaigners is clear, but did they convince voters? In Brera, one of Milan’s iconic neighbourhoods, one elderly man argued that taxpayers’ money should stay in Lombardy and Veneto, “because Rome is a thief”. Another local however called Sunday’s referendum a joke – one costing 50 million euros. “Spending money to holding a referendum in which 99.9% of voters will vote “yes” is a joke… They could have given those 50 million euros to someone who really need it,” he said. Opinions in the streets of Lombardy are divided, but as this is a non-binding referendum, turnout – rather than voting preference – will be key to find out which way this region is swaying.